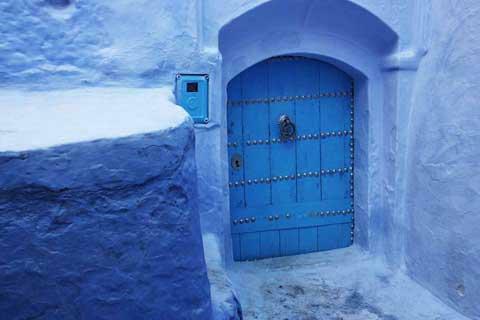 How much does it cost to travel to Chefchaouen? How much money will you need in Chefchaouen? MAD292 ($30) is the average daily price for traveling in Chefchaouen. The average price of food for one day is MAD91 ($9.48). The average price of a hotel for a couple is MAD242 ($25). Additional pricing is in the table below. These average travel prices have been collected from other travelers to help you plan your own travel budget. How much money do I need for Chefchaouen? To feel like you've really stepped back in time to the glory days of Morocco, you're going to want to spend time in Chefchaouen. This town's beautiful medina is filled with white washed buildings with blue highlights. The wandering alleyways provide a fairy tale setting where you can relax for a few days. This mountainous region is a humble example of the classic picture of this area. Set against the backdrop of the Rif Mountains, the white and powder blue accented buildings and call to calls to prayer throughout the day let every visitor know they've arrived in a relaxing spot of peace and serenity. Some of that peace and serenity, however, might be attributed to the fact that Chefchaouen is located on the edge of Morocco's marijuana growing region. The use of marijuana, while illegal, is widespread and tolerated, but the touts attempting to sell to you can be quite aggressive. They may be persistent or even threaten you, but if you simply smile, remain calm and repeatedly refuse politely, you'll usually walk away without a problem. On the flip side, some tourists hiking too near marijuana plantations have reported having stones thrown at them to scare them away. The best way to avoid this situation might be hiring a personal tour guide. Like in many Moroccan cities, the medina, or old town, is the main attraction for most visitors of Chefchaouen. Originally decorated by Jewish immigrants, the whitewashed walls of the town instantly calm tourists looking to escape the hustle and bustle of the larger cities in the country. The waterfall, known as Ras el Maa, on the east side of the medina is a spot to witness the local culture and life of those who live in Chefchaouen. Many of them will meet here to cool off, chat and do their laundry. If the tourists in Chefchaouen are getting to be too much, find an escape in the gorgeous Kasbah. This heavily restored fortress is surrounded by giant walls, and contains a small garden, Ethnographic Museum and a tiny art gallery showing the work of local artists. Have a look even it's just to see the lush green garden against the mountain setting. For a stunning view of the whole medina, visit the ruins of the Jemaa Bouzafar mosque. On a hill just behind the waterfall, this mosque was restored in 2013, and offers a breathtaking view that's worth the hike. But if that's not enough to quench your thirst for stunning photos, visit the hill of the Hotel Atlas. This outlook gives visitors a fantastic view of the town and valley - especially during sunsets. With plenty to see and do, you'll have no trouble filling your time here, even if you just wander around the town. Here's more things to do in Chefchaouen on a 2-day itinerary. Being situated right in the middle of the Rif Mountains makes Chefchaouen the perfect destination for any hiker. There is a popular backpacker path leading into mountains located just behind the waterfall. Just ignore the vast amounts of marijuana plantations and the farmers trying to sell it to you. If you're feeling ambitious, you can attempt the challenging hike up Jebel al-Kalaa - the peak overlooking the whole city. It's a fun trip, but can take up to 9 hours round trip. You'll also be walking through large marijuana plantations. Maybe that's a good thing? The route is also not well marked so you may have to find your own path back to the trail at times. Pack plenty of water and snacks for this strenuous and "high" journey. The local specialty in Chefchaouen is baissara, but unfortunately, many restaurants don't serve this dish. So if you see it, take advantage. You'll also find Moroccan staples like the vegetable stew with goat or sheep known as tajine, the tomato soup known as harira, the kofte meatballs and the fish called tagras. When touring the city, you won't want to miss olives, olive oil and goat cheese sold in most shops around town. If you find yourself searching for food in the medina, avoid restaurants in the Kasbah square. Many are overpriced and rather low quality kofte or harira. Getting around Chefchaouen's two halves - the medina and the new city- is walk able. Most attractions will be friendly to those on foot, but if you're planning on traveling outside, you may want to consider hiring a guide and/or a car. Bear in mind, con artists are also a problem in Morocco. Some are in it for the long con  spending days with you, showing you the city, gaining your trust and then stealing from you once you finally trust them. A great way to see the town and all of its blue walls is to hike up to the old Spanish Mosque on the hill to the east of town. It's only about a 20 minute walk outside of the town but take your time, the surrounding scenery is amazing. On the way you'll pass through local farms and by a school after leaving the town by crossing the stream. Next to the stream you will find some interesting clothes washing basins that use gravity and the water from the stream to let the people wash their clothes. The view from the top of the old mosque is stunning, and you can sit on the surrounding land and have a picnic. It's a great place for sunset, too, just bring a flashlight.